Test Drive our New Tune in optimizer. Our A.I. 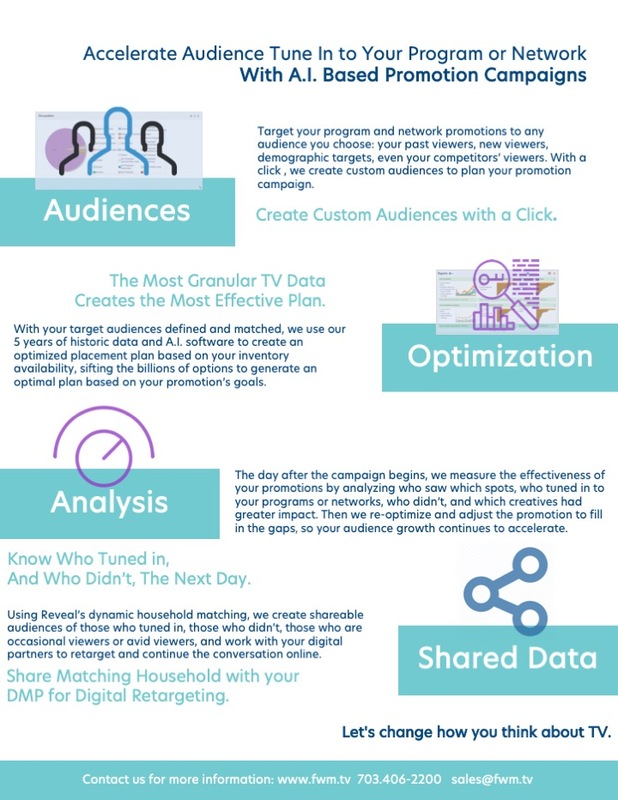 Based tools target your promotions at specific audiences, optimize the placement of the promotions, and transparently show you the performance with the most granular TV Viewing data Available. Fill out the contact form below, or reach us at sales@fwm.tv, and we’ll give you a complimentary Tune In Optimization. Thank you for contacting us at FourthWall Media. We will direct your message, and the appropriate person will respond as soon as possible.